Of nimble feet and assertive words. A rebel who always delivered for his fellow cricketers. A true professional who knew the worth of his craft even in the days when cricket was still considered an ameteur’s sport. A true master of rescue battles and habitually good at challenging long odds. Of pleasant demeanor yet firm in his purpose. That’s Asif Iqbal for you in a nutshell. Pakistan’s captain in the first two World Cup competitions, the legendary man-of-crisis, benefactor of fellow cricketers and much much more. Asif started his first class cricket career in the Indian city of Hyderabad as a teenaged medium fast bowler with some batting ability and was soon considered good enough to be picked for playing against the 1960-61 touring Pakistanis for the South Zone side. His name in the scorecard reads as A I Razvi (Asif Iqbal Razvi). Six wickets in that match highlighted his potential and underlined Asif’s linkage to a cricket family pedigree in the shape of his Test playing Uncle Ghulam Ahmed. Then came his migration to neighboring Pakistan, a land where Asif was destined to leave an indelible mark as a cricketing great. Not long after moving to Pakistan, Asif was drafted in the Pakistan’s Eaglets side to tour England in 1963. That was his first official trip to the land which will eventually become his second home. His personal and professional lives both evolved dramatically once he started his love affair with England. On the 1963 trip itself Asif was Eaglet’s leading wicket taker. His Test match debut followed in the next year against Australia where he opened the bowling with another debutant and future star of Pakistan Majid Jehangir Khan. As his career progressed Asif moved on from a bowling all-rounder towards a specialist batsman role with occasional bowling spells. 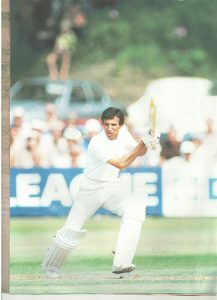 Three years after making his test debut, Asif arrived well and truly as a special batting talent and a player of class. It was during the 1967 tour of England when he not only scored a memorable hundred and created a ninth wicket partnership world record but also became only the third Pakistan after Fazal Mehmood and Mushtaq Mohammad to be chosen among Wisden’s Five Cricketers of the Year. Playing cricket at the highest level for Pakistan was a part time activity in the days prior to the advent of ODIs. Test tours and series happened once every year or even after a greater gap. So Asif, like many of his colleagues, kept himself in touch by playing for Kent in the English county circuit. Kent side of late sixties and early seventies was a great one day outfit comprising Colin Cowdrey, Alan Knott, Derek Underwood and Brian Luckhurst from the England’s line up along with their future star in the making Bob Woolmer plus the West Indian duo of Bernard Julian and John Shepherd. It was a like a limited overs dream team and Asif was one of its vital cogs who contributed to their various title wins. The icing on the cake came when in 1977 Asif himself led Kent to the title of County Championship though shared with Middlesex. Even in his prime Asif rarely scored heavily in situations which offered no challenge. He was generally in his elements when the chips were down and there was a battle to be fought and won on the cricket pitch. 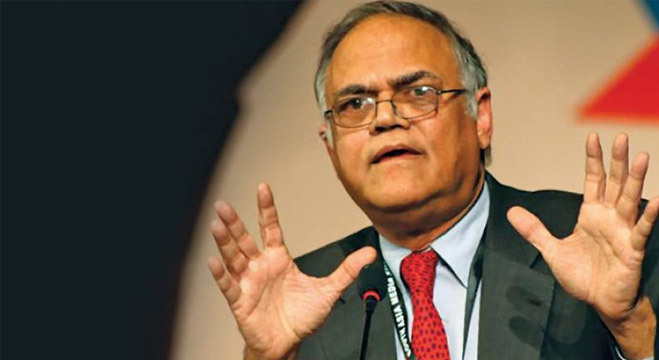 This earned him the title of Pakistan’s man of crisis. 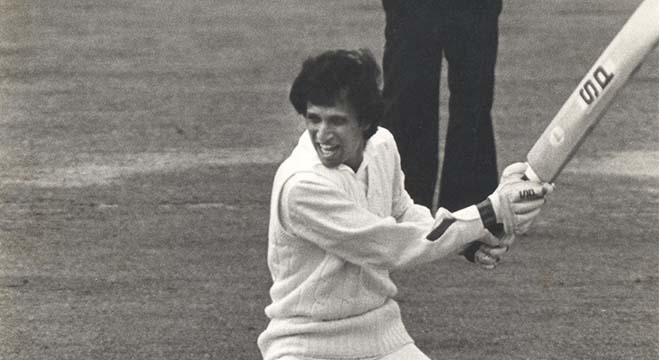 In addition to his world record at Lord’s in 1967, Asif’s rearguard action masterpieces included his Adelaide century in 1976-77 when he partnered debutant Iqbal Qasim for a staunch 96 minute and 87 runs last wicket stand to earn Pakistan a memorable draw. Two Tests later another hundred on Sydney’s pace oriented wicket and against a fiery attack lead by Dennis Lillee, Asif scored 120 priceless runs to set up Pakistan’s first ever win in Australia. On a similar pacy track in the West Indies at Kingston’s Sabina Park, Asif stroked a masterly 135 in a losing cause against Roberts, Croft and Garner when all his team mates were blown away by the Caribbean hurricane. Asif formed a formidable pairing with Javed Miandad at the crease and in the ground. In Javed he found an eager runner between the wickets and person willing to challenge the wits and reflexes of the fielding sides like Asif. Both started their association in the first World Cup when Asif agreed with the BCCP president Kardar to take seventeen year old Javed as a part of the Pakistan’s contingent for the first ever World Cup in England. Their partnership further consolidated in Javed’s debut Test when Pakistan was reeling at 55 for 4 on the opening day against New Zealand at Qaddafi Stadium and Asif shepherded Miandad to his debut hundred and posted one of his routine man-of-crisis century. For the first time in Pakistan’s history, littered with incompetent and at times hilarious fielding episodes, Javed and Asif formed a world class duo patrolling the off side. The mutual admiration and respect remains to date. Asif along with Imran Khan was the only one among the Pakistanis who actually enhanced his repute in the highly competitive Kerry Packer’s World Series Cricket. He was deputy to the World XI skipper Tony Greig and when Greig decided to sit out from one of the Super Tests against the West Indies, Asif led the World XI to an innings win over Clive Lloyd’s fearsome all-conquering West Indian side while scoring a composed hundred himself. Asif’s turn at the musical chairs of Pakistan’s captaincy came quite late. Despite being the designated vice-captain Asif’s credentials were twice over looked when the captaincy change came about. Once when Majid Khan was made captain out of nowhere for the 1973 home series against England and secondly when Mushtaq Ahmed piped him to the post for the 1976-77 season. Nevertheless Asif had the honor of leading Pakistan side the first two World Cup events in England and also had his life time desire fulfilled when he led Pakistan to the 1979-80 tour of India. This tour however proved to be Asif’s final one as he bid adieu to the cricketing fields as a player in India, the land where he started his cricketing career two decades ago. Subsequent to his retirement as an active player Asif was joined hands with Abdur Rehman Bukhatir who wanted to establish Sharjah as a serious cricket venue on the world cricket map. Asif duly obliged and became Bukhatir’s right hand in setting up the Cricketer’s Benefit Funds Series at Sharjah. 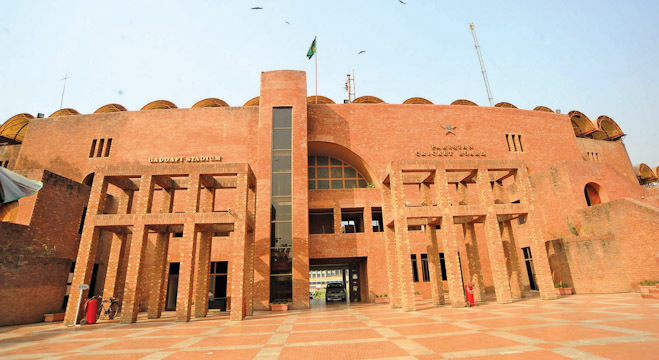 This CBFS series not only went on to benefit new and old cricket stars financially but also made Sharjah’s a neutral venue for iconic contests involving Pakistan for the next quarter of a century. Without pointing out any names some of cricketers who were really living below the acceptable wage line benefited from generosity of this benefit series. Furthermore Sharjah’s record as a venue of holding the highest number of ODIs (236) will still take some beating. 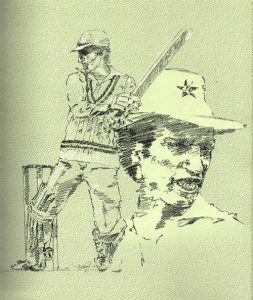 Always ready to speak his mind and contest the authority, Asif’s name was always invariably amidst every revolution which happened in Pakistan cricket in the sixties and seventies. Asif’s matter-of-fact style and consciousness to lead the cause of fellow cricketers always ensured his place in the eye of every cricketing storm. Yet he rarely budged from his pedestal. 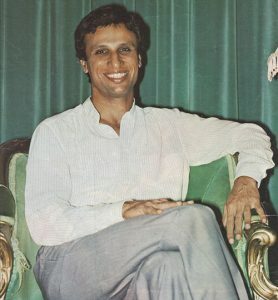 Be it the pay raise dispute with the Pakistan cricket’s strongman Abdul Hafeez Kardar in 1976-77 or be it his role in luring cricket’s best talent to Packer’s World Series of Cricket, Asif always managed to strike gold not only for himself but also for his fellow cricketers. Asif’s role was pivotal in all Pakistani cricketers earning a decent wage and focusing only on cricket rather than worry about dollars and cents. In his early days Asif also used to work off season for travel agents Thomas Cook in the UK. For Pakistan cricket fans and team mates Asif Iqbal will always be remembered as the true “Man-of-crisis”, an electric fielder in covers and a runner par excellence. In a nut shell he was a Pakistani cricketer with a Calypso spirit. For cricket administrators in the country and around the world Asif was a tough cookie negotiator. And above all for all the lesser known and forgotten cricketers from the past, who got their due through the CBFS in Sharjah mainly due to his efforts, Asif Iqbal was the Rainmaker.